Today’s post is a the perfect way to start the week before Christmas. I have teamed up 2 Bees in a Pod and 18 other bloggers for a virtual cocktail party! Yeah, you heard that right. We are starting the week off with a party and we are sharing 20 fun recipes, drinks, and decor to help you party in style. 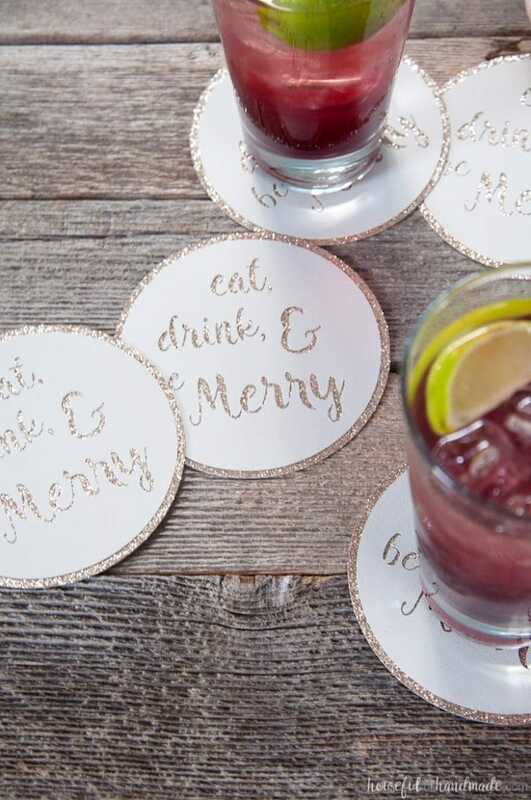 For this party, I decided to focus on the perfect party decor: DIY Drink Coasters. Maybe it’s because I have been crazy strict with my family using coasters on the new farmhouse coffee table I just built. Or maybe it’s because I just hate cleaning up messes. Either way, having a bunch of DIY drink coasters for a party just seemed like the perfect idea. I don’t know anyone that has enough coasters for a whole houseful of guests to use (but if you do that is awesome!). So when you have lots of people over, what do you do? Just try not cringe when someone puts a sweaty drink on your table top? 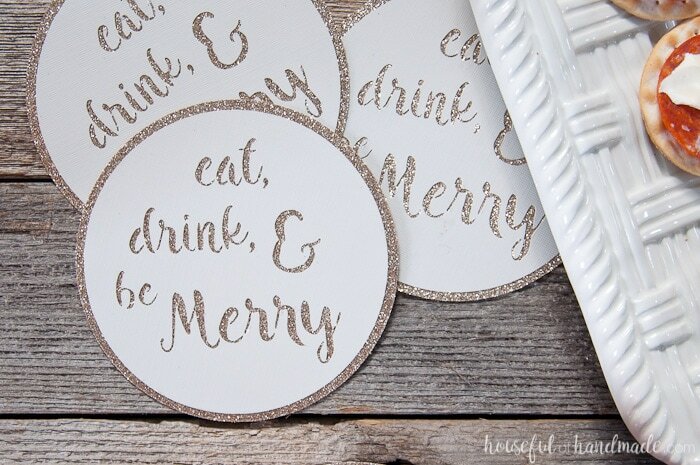 Instead of me stressing out during the party , I decided to just make a bunch of these festive paper coasters to sprinkle on all the table tops in the house. Then people can mingle and party and I can enjoy myself too! 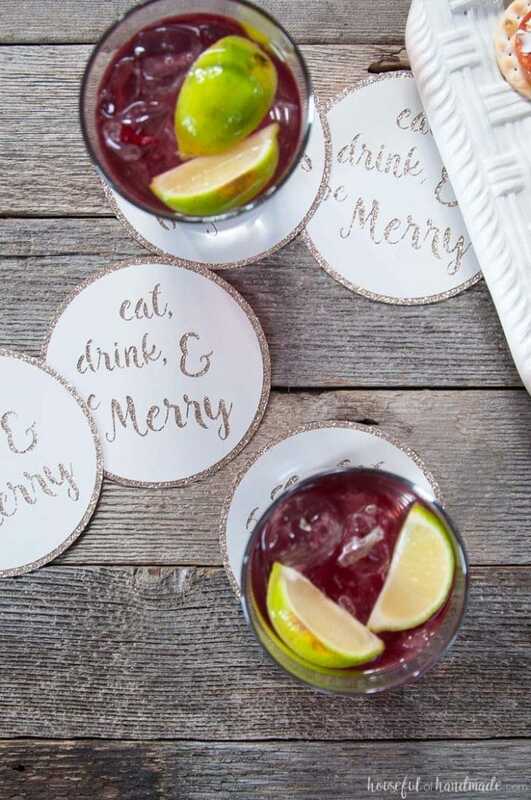 The best part about these DIY drink coasters, they are super easy and inexpensive to make! I used 2 12″x12″ pieces of cardstock to make 5 coasters with my Silhouette cutting machine. But if you don’t have a cutting machine, don’t fret, I also made a printable design that you can easily cut out with scissors. With the printable design, you will be able to get 3 coasters out of 2 8 1/2″x 11″ pieces of cardstock. 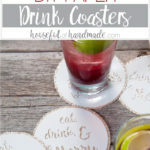 So if you are ready to make your own DIY drink coasters, click the button below for the tutorial. And let’s keep the party going, make sure to check out these other posts. 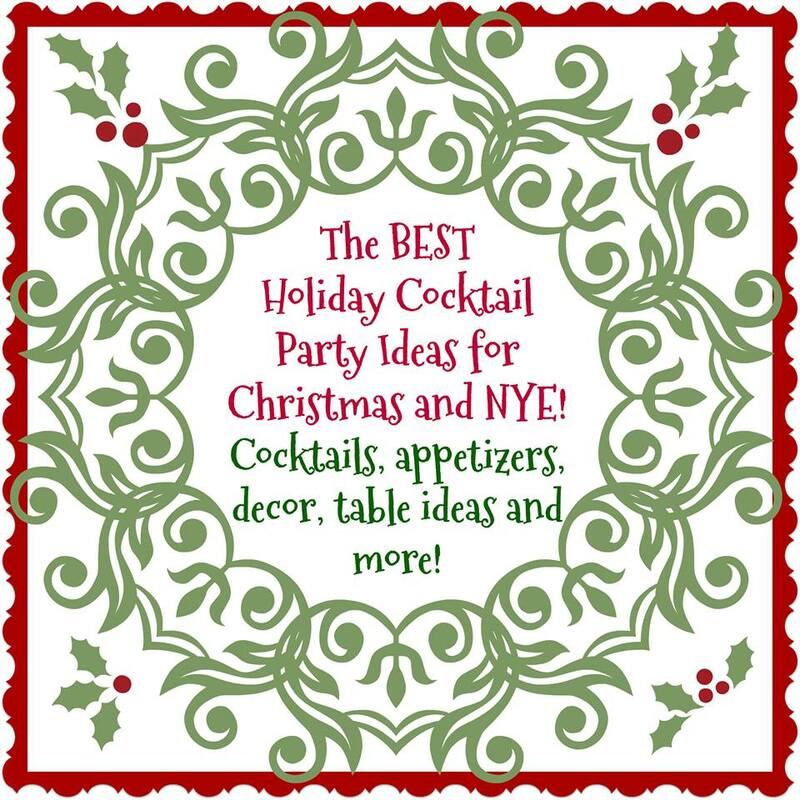 They have everything you need to have the perfect party this year!